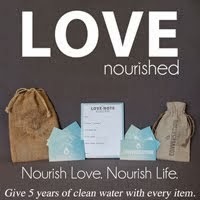 I am in the process of ordering samples of many of the products that I offer my clients. Actually seeing a sample of an album or a book makes it much more real than just hearing about it. A coffee table book is on its way to me as I type this, and I have other items I plan to order over the winter. 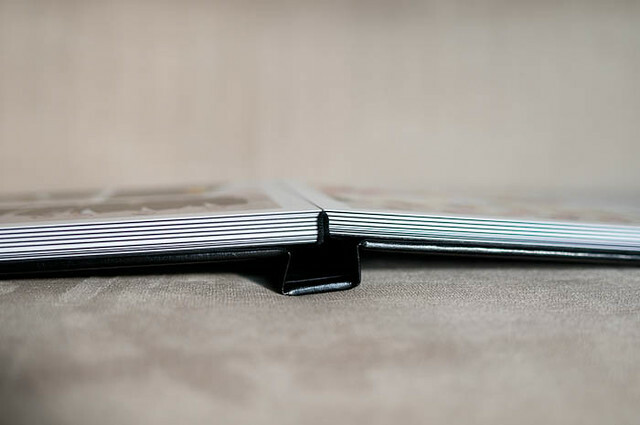 I want to show you a sample of what is known as a flush mount album. These albums are a part of many photographer's packages. They are of very high quality, and are therefore priced to reflect that. 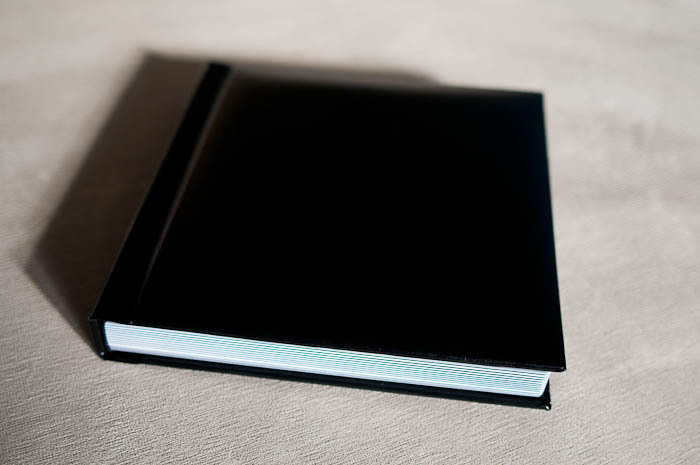 The cover is leather, with the option of adding a photo to the cover. For this sample, I chose the flat black leather option. 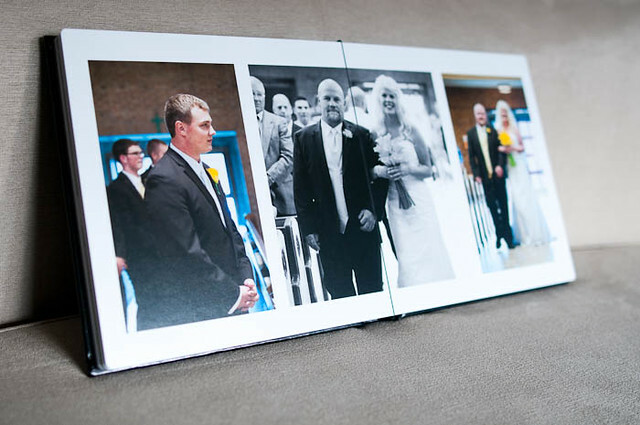 The flush mount album has photos printed directly on 2 or 3mm matboard. These pieces of matboard are bound and when open, the pages lay completely flat. The layout of the album is constructed by me, with careful selection of the layout and corresponding photos. 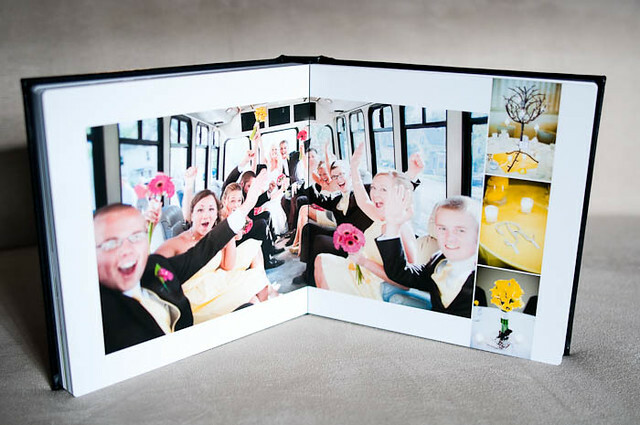 The goal of the album is to tell the comprehensive story of your wedding day. 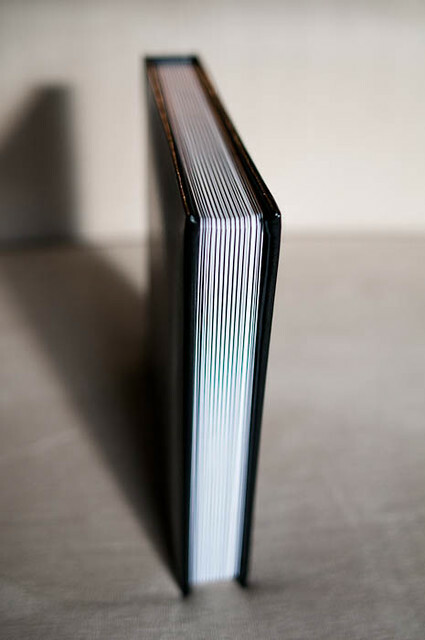 The pages can be white or black, and the details of the design will be decided through discussions between you and I, to make sure the album reflects your personal tastes and your hopes for your keepsake family heirloom. These albums come in many sizes. This sample is 8 in by 8 in, with 20 pages [One page is one 8x8 square. When the album lies open flat, that spread counts as 2 pages]. Additional pages can be added, and a variety of other changes and personalizations can be added for additional fees. 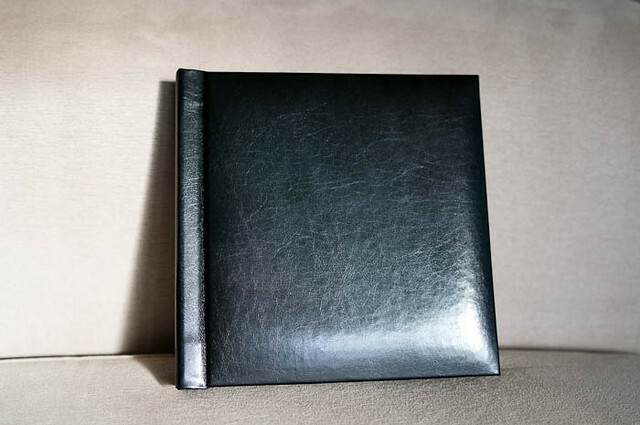 These albums come in a felt keepsake bag and box, with instructions for preserving them for future generations. If you are a current client and would like to view this sample in person, send me an email. I'd be happy to show you this album as well as the coffee table book that is coming tomorrow. The coffee table book is a hard cover book, with pages that are paper rather than matboard. 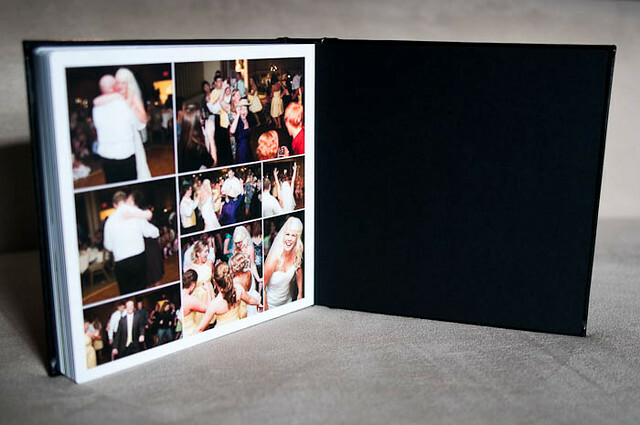 The coffee table book is a more economical option to the flush mount album, while still being of high photographic quality and telling the story of your wedding day. 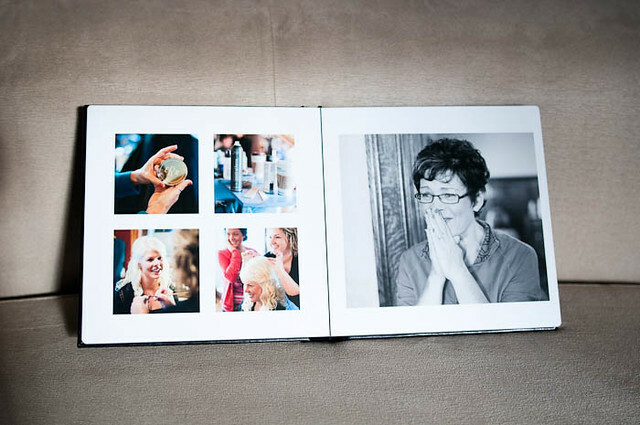 An informative post with photos of the coffee table book is coming soon! 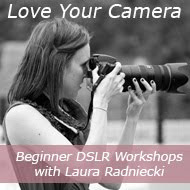 As always, email me with any questions or for a personalized quote.